Let your new HVAC system pay for itself! Integrity offers the industry’s best finance options with affordable monthly payments and interest free options. Up to 10 years with no pre-payment penalty. *$2000 total purchase with a $400 down payment. Subject to change. Call Integrity to set up your Free in home estimate or installation as soon as TODAY! Hurry! This Special Rate Financing Ends April 30th, 2019. 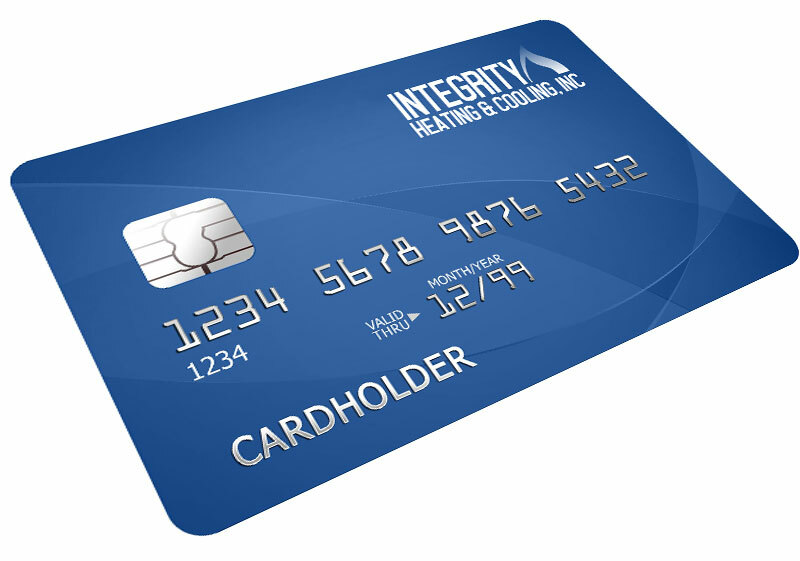 Enjoy these exclusive benefits as an Integrity Heating & Cooling cardholder! Ask an Integrity Heating & Cooling associate for details today!